FACTS Online securely connects your business to your clients so you can spend more time making things happen. It is the secure and easy way to create a seamless user experience, from your website through to your business. Unlimited clients, no credit card or bank details required. * Feature is counted per monthly usage. 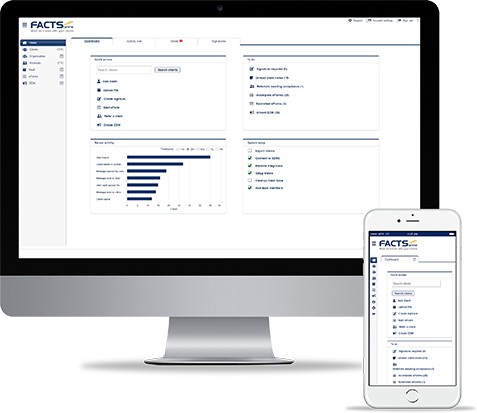 Built from the ground up to securely store and transfer sensitive client information, FACTS Online reduces your data security and compliance risks. FACTS Online is a local business with a Melbourne based support team. This means you get to speak to real people that want to work with you to find the quickest path to the solution. Existing account holders, please use the support form. Submit your email address to receive the FACTS Online newsletter with industry insight, recent releases and promotions.